The CLA Coupe - a rather different kind of Mercedes. This second generation version, like the model that inspired it, is compact and coupe-like, yet has four doors and a decent boot. And it'll set the neighbours talking far more than if you simply bought yet another mid-sized German-badged executive saloon. It's a model to challenge your preconceptions, that's for sure. Never underestimate the power of emotional appeal. It's brought us cars like this one, this second generation Mercedes CLA Coupe. We first saw the original version of this four-door coupe in 2013, that design followed by an equally trendy 'Shooting Brake' estate version a couple of years later. This replacement continues in much the same vein: so it's A-Class-based, which means that it's front-driven - unlike the kind of Mercedes C-Class saloon you could buy for very similar money. A C-Class would give you much more rear seat room and boot space, but a CLA will make a much more overt car park statement - which for its intended audience will be all that really matters. This MK2 model is a little bigger and much more sophisticated than its predecessor. And, as before, it comes in the four-door Coupe form we're going to look at here - or in 'Shooting Brake' estate guise. 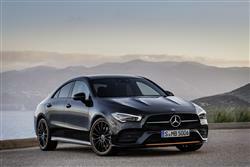 Mercedes markets this car as a 'sporty' alternative to its more conventional C-Class saloon. 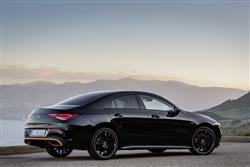 The CLA Coupe's sporty styling leads you to expect that. Though this car shares its chassis, steering and braking architecture with A and B-Class models, it does get its own suspension set-up, with various changes made to improve comfort and make it a bit less crashy over poorer surfaces. There's torque vectoring to help with the handling and 'Direct Steering' to sharpen things up at the helm. The range kicks off with CLA 180 and CLA 200 variants that both use a 1.3-litre petrol engine co-developed with Renault and are respectively capable of producing either 136hp and 200Nm of torque or 163hp and 250Nm. Next up is the CLA 220, which features a 2.0-litre petrol engine with an output of 190hp and 300Nm, this variant available in both two-wheel and four-wheel drive. Beyond that lies another petrol-powered front-driven variant, the CLA 250, which uses a 2.0-litre engine and can generate 224hp and 350Nm. You can also talk to your dealer about diesel-powered CLA 200d and CLA 220d variants. All models were initially launched with a 7G-DCT seven-speed automatic transmission, but you can also talk to your dealer about a 6-speed manual stick shift for lower-range variants. By any measure, this is a handsome car. Purposeful, with sporting proportions and a potent long stretched bonnet. Hi-tech too, with jewel-like LED daytime running lamps fashioned to create a flare effect around the diamond-shaped grille. It's not just about aesthetics either. The combination of the long, stretched entry line above the windows and frameless doors give the CLA Coupe a sporty and elegant character. And the super-sleek drag factor makes this one of the most aerodynamic production cars you can buy. The cabin's very similar to that of an A-Class - which these days is a very good thing indeed. The designers have completely dispensed with the usual instrument binnacle cowl, so as a result, the wing-shaped main body of the dashboard extends from one front door to the other with no visual discontinuity. The widescreen display is completely free-standing. And the lower section of the fascia is visually separated from the main body of the instrument cluster by what the designers call a 'trench', and it appears to float in front of the instrument cluster. The standard ambient lighting enhances this effect and the air vents, finished in a sporty 'turbine-look' are another highlight. There's a 460-litre boot, but if that's not enough, talk to your dealer about the CLA-Class Shooting Brake estate variant. Here, there's a 505-litre boot (which is 10-litres larger than the previous generation model). CLA Coupe prices start at around £30,500 and rise to around £37,000, which leave this car right in Mercedes C-Class saloon territory. Think in terms of a premium of around £1,000 to get yourself the Shooting Brake estate version you can ask your dealer about. There's a choice of three trim levels - 'AMG Line', 'AMG Line Premium' and 'AMG Line Premium Plus'. Even base 'AMG Line' models come decently equipped, standard kit including the MBUX multimedia system that includes 'Hey Mercedes' voice recognition and is accessed through a 10.25-inch centre-dash touchscreen. This incorporates navigation, a DAB radio and smartphone integration, including Apple CarPlay and Android Auto. There's also a 7-inch digital cockpit display, LED high performance headlights, privacy glass, Thermotronic luxury two-zone automatic climate control, a Parking package and heated front seats with leather upholstery. Standard safety features include Active Lane Keeping Assist and Speed Limit Assist. 'AMG Line Premium' trim adds a larger 10.25-inch digital cockpit display, a dash cam, ambient lighting with a choice of 64 colours and keyless entry. 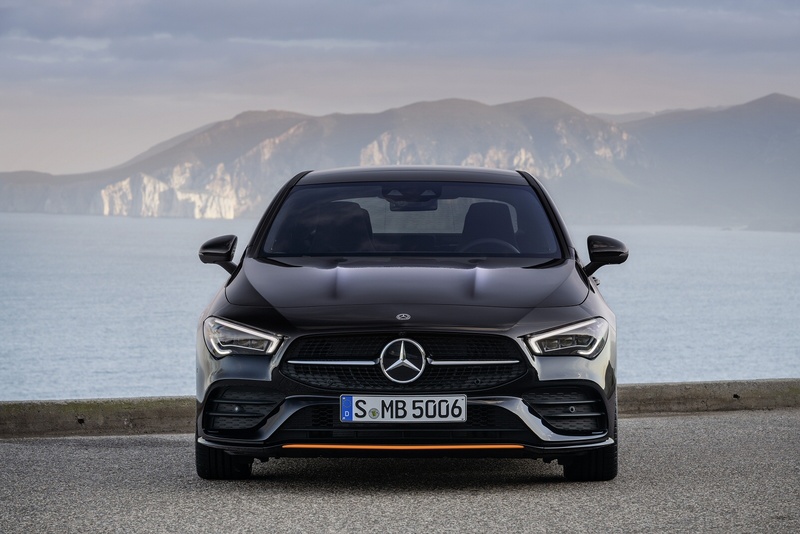 Finally 'AMG Line Premium Plus' spec adds a panoramic sliding sunroof, Multibeam LED headlights, memory seats for the driver and front passenger and an 'Energizing pack' which uses a number of the car's systems to boost driver fitness and wellbeing. You'd expect such an aerodynamic production car to deliver an ultra-competitive set of running costs, so let's get to the figures. The CLA 180 and CLA 200 Coupe variants can deliver up to 47.9mpg on the combined cycle. 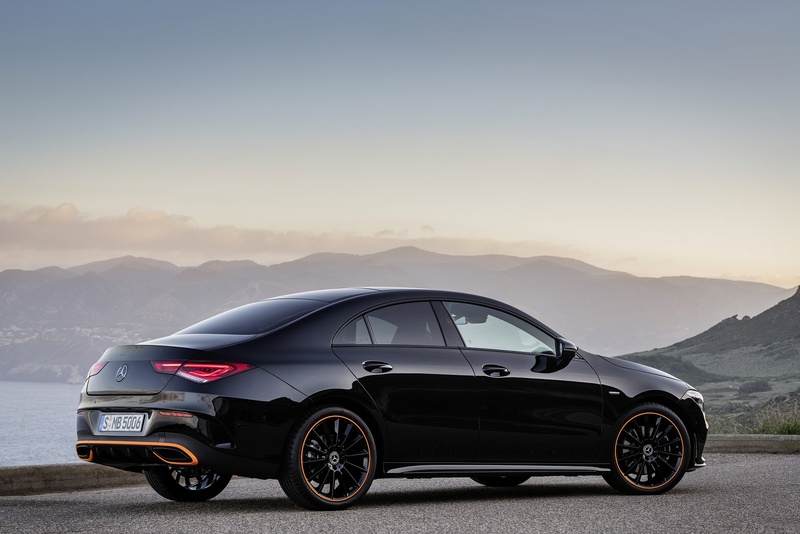 The CLA 180 emits 123g/km of CO2 and the CLA 200 emits 124g/km. The CLA 220 4MATIC delivers 40.4mpg and emits 149g/km. And the CLA 250 can deliver up to 41.5mpg and emit 139g/km of CO2. What else? Well it's worth knowing that your maintenance outlay can be kept a little in check by going for the optional 'Service Care' package that takes care of routine maintenance, spreading the cost of regular servicing, guaranteeing the price of parts and labour for up to four services and covering the cost of all recommended service items such as brake fluid, spark plugs, air filters, fuel filters and screen wash. There's also an ASSYST dashboard service indicator that monitors engine use and tells you exactly when a garage visit is due. 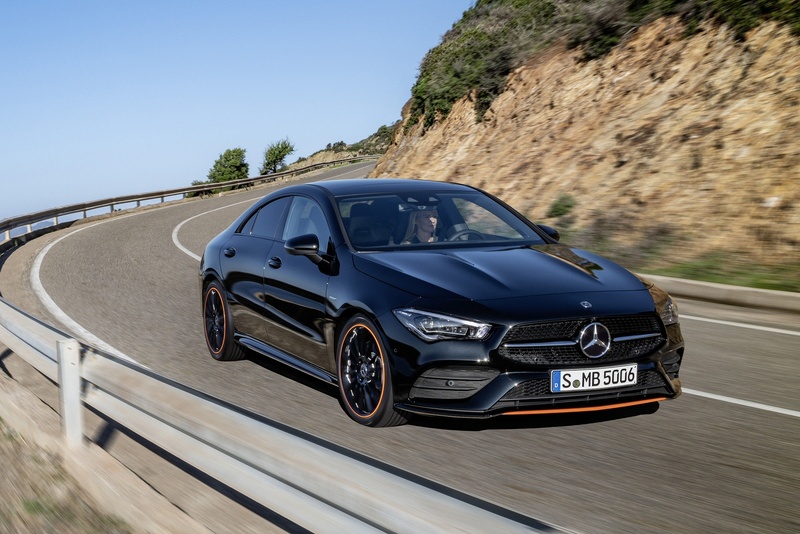 It's also worth mentioning that the included 'Mercedes me' connect services package includes remote self-diagnostic capability, enabling your CLA to monitor wear and tear items and alert your local dealer to let you know if something needs seeing to. If you�re looking for a new Mercedes-AMG CLA 45 Night Edition 4Matic 4dr Tip Auto Petrol Saloon for sale, you�ve come to the right place. 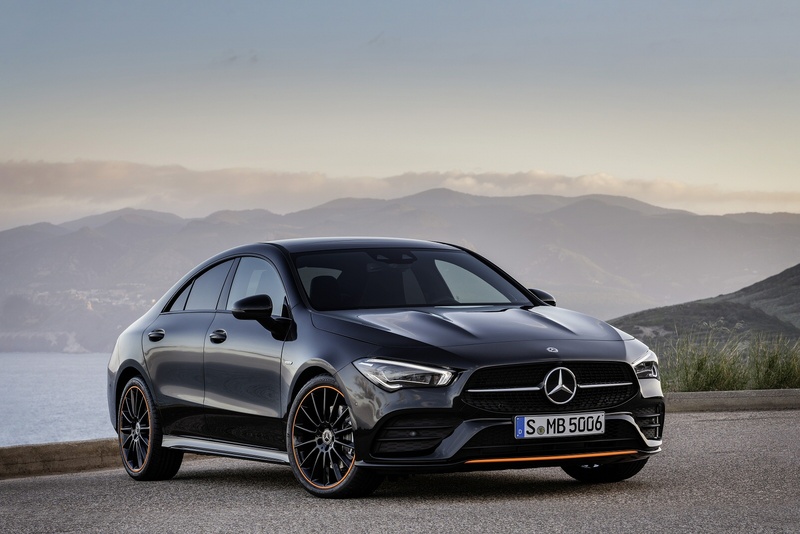 At Bristol Street Motors we don�t just have the best Mercedes-AMG CLA 45 Night Edition 4Matic 4dr Tip Auto Petrol Saloon deals, we also offer friendly advice and help with all your enquiries to ensure your buying experience is a happy experience.